Welcome to Holiday Isle! 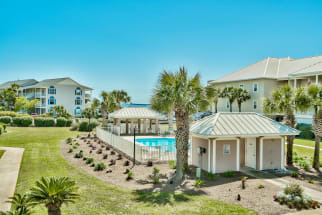 Emerald Coast by Owner is proud to offer you hundreds of listings for the perfect vacation property such as Island Home! Here in Holiday Isle, you can make the most of your vacation in absolutely any fashion you desire. Looking to relax while away Not a problem! Lounge on your property, maybe the balcony or inside with all the luxury and elegance! Feel free to relax and lay out on the beach, catch some rays! Lastly, if you really want to ease up, go to a local spa and let everything go! Emerald Coast by Owner has hundreds of listings to choose from. Click here now to book! When you book with Emerald Coast by Owner, we make it easy for you to choose where, when, and what you want to do on your trip. Contact us with any questions!